Thin cannulas give the best liposuction result! 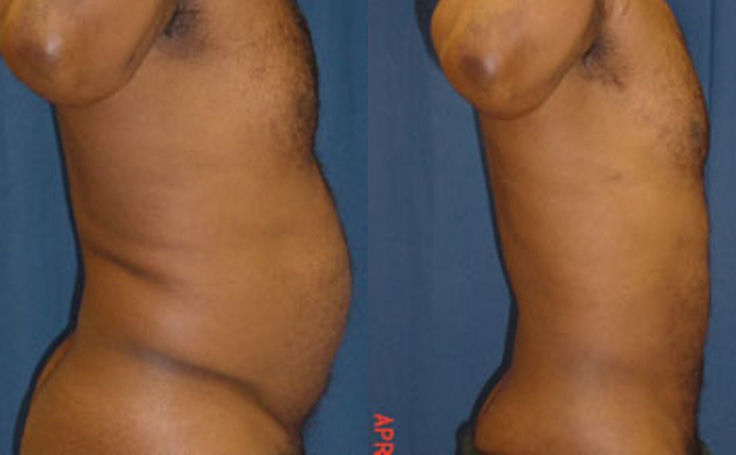 This Afro american male had fat removed from his abdomen to reduce size of belly. A total of 4000 cc of fat was removed from the abdomen and love handles. This male patient had Liposuction performed on the abdomen. Before the surgery he had a big belly. After the fat was removed, the patient has a flatter stomach and a straighter contour. After the surgery, patients wear a special garment for at least 10 days to reduce swelling and provide the area with support. Patients depicted in our Liposuction gallery have provided their written consent to display their photos online. Every patient is unique, and surgical results may vary. Please contact us if you have any questions. Excellent experience overall. Dr. Rodriguez is wonderful, explains everything that is happening, very caring. Staff is great, very professional and yet very personalized for your needs.